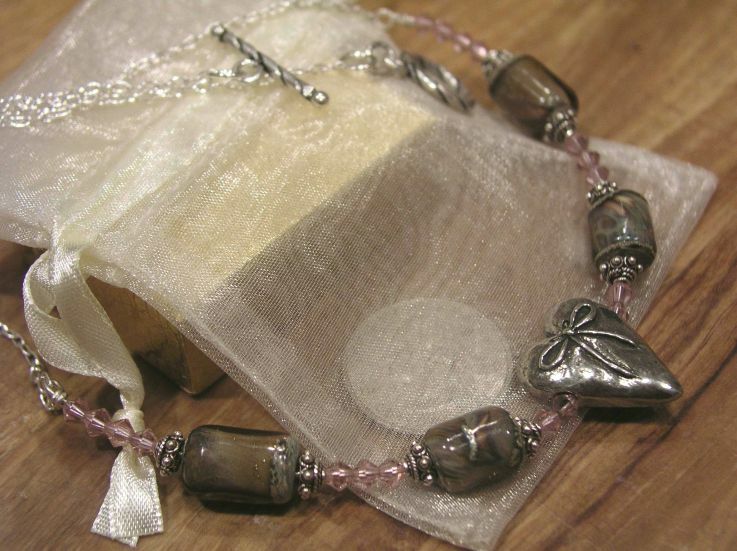 All components (findings) and silver beads are sterling silver. Laced heart is Pewter. This necklace is an interesting mix of style. 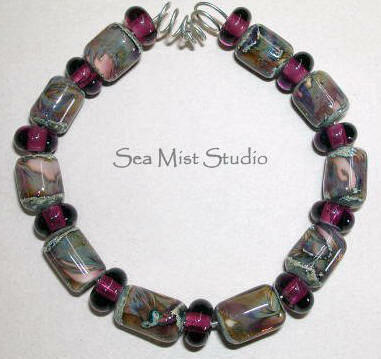 The beads are organic, but they are framed with frilly silver bead caps and lovely peach Swarovski crystal. The pewter heart in the center has a bow on one side and laces on the other side. Very eclectic, this piece is not like anything you will find anywhere else.